Another year has begun. Do you have a plan? If you don't, you have one, you just don't know it. If you do, well congratulations! For those of you without a real plan for 2015, I want you to consider the statement above. When we do not create a plan we are planning to fail. Getting to successful and positive results requires planning. Without it you are destined to fail. A plan doesn't need to be elaborate if that's not what you want. A plan can be very simple or very complex, it is entirely up to you. I personally prefer detailed plans that lay everything out. I find it easier to stick to the plan and execute the plan when I do it the detailed way. I personally do not believe in resolutions. Why not create a revolution instead of a resolution? 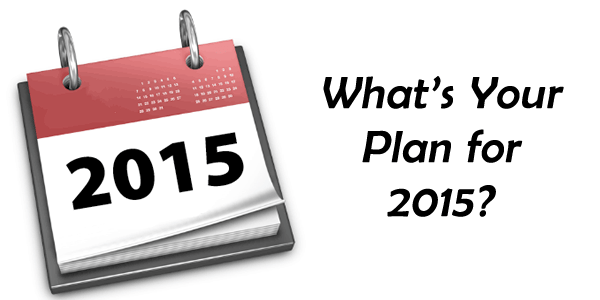 Plan a way to make 2015 a revolutionary year. Do you want to become a better photographer? Start with a daily 365 photography challenge. Want to make working out a habit. Start with a short daily workout. Create a plan to accomplish what you want and then make it happen. The revolution approach will change things. Revolutions, like goals, are won a small step at a time. This entry is not going to be for everyone. 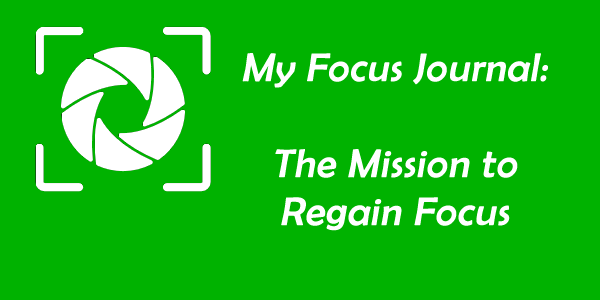 As I embark on my mission to regain focus I figured I would journal the progress here on Fitness Expose. Thus, if you are not interested in personal details move on to another article. However, I think that by sharing my thoughts and progress with all of you it is going to be a learning experience for anyone who reads this. I was sick for 4 days this past week, so training suffered. However, the time I spent in the gym was amazing. Lots of hard work. I am trying very hard to overcome the mental block that stops sets before failure. It is a struggle to change mental blocks like that, but a constant focus on it will do the trick. My nutrition was up and down this week. While I was not sick I was eating regularly and hitting my macros. When I got sick that stopped. I will have that back next week for sure. I am very focused on doing my workouts with the absolute most intensity possible. I am back to using very heavy weights (aiming for 4 to 6 repetitions) and this has always been where I feel the most comfortable. That has had a positive effect on my mental state. However, I also worry about not recovering, so I have been watching that as well. I don't let it get in my way. As stated in the opening, I am working very hard on eliminating the mental block that has people (me included) stopping short of failure on sets. The only way to grow is to get them all and that's what I am doing. It is slow going, but it is also working. I am ready for this new week. My weight dropped from 255 lbs. to 251.2 lbs. while my body fat percentage went from 19% to 18.2%. I am moving in the right direction already! If you are looking for the best way to build muscle fast you have to train your legs. This is not negotiable. It is something you must do. We have all seen the guys in the gym with the huge upper body and twigs for legs. When asked they have a multitude of excuses for not training their legs. It could be “squats hurt my knees” or “my legs get enough work through cardio training”, but the excuses are everywhere. 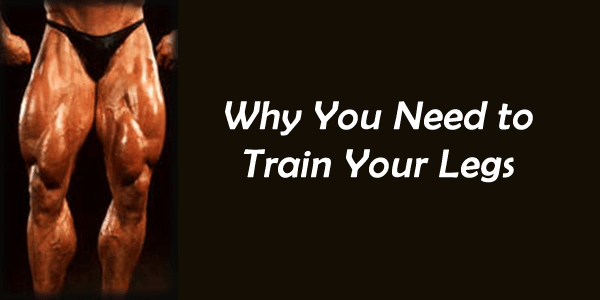 I want you to understand why you must train your legs. The stronger your legs the higher you can jump, faster you can run and more athletic you will be. Don't participate in sports? There is a functional benefit to training your legs. Things like pushing your car, lifting boxes and carrying heavy things up stairs will become much easier with strong legs. What two exercises burn the most calories? Squats and deadlifts. They are without a doubt the two highest calorie burners out there. You can bench all day long, but there is no substitute for heavy squats and deadlifts. Scientific studies show that doing squats and deadlifts increases the release of growth hormone into the body. They also show that testosterone levels also increase. If your goal is more muscle than this is the way you want to go–more growth hormone and more testosterone. By focusing on compound leg movements you will build muscle throughout your entire body and that includes your upper body. Train your legs hard and your entire body will benefit. Anyone can train their upper body. It is fun and takes less effort. It takes a tremendous amount of mental effort to do a good leg training. For some reason, heavy squats get inside your head and it is very easy to give up. Competing the task takes mental strength. Do not ever skip leg day. Train your legs with intensity just like any other part of your body. Watch the results pour in. Do you get bored with your goals? It is important to stay focused in order to accomplish what you set out to accomplish. You have to dig deep to get through the times when boredom sets in. These simple tips will help you stay focused on your goals. Perhaps you are spreading yourself too thin? Pick 1 to 3 goals and then concentrate on those. Don't even think about your other goals until you accomplish the 1 to 3 you chose. Maybe your goals are too large? I've taught you how to break down your goals, but perhaps you didn't break them down small enough? Reevaluate where you are and see if maybe you can break your goals down even further. To stay focused, create a plan for completing the goals you have. It is much easier to stay focused when there is a plan of action for you to follow. We enjoy checklists because they make us feel like we've accomplished something. It’s important for me to track the results of what I do, because otherwise it feels like my actions are not making a difference. Hence, every time I work on a goal, I will identify 1-2 performance metrics, then track those metrics daily/weekly. They are my connection to the end goal, because they let me know whether I’m on track or off track, which in turn lets me know whether to tweak my actions or not. Journaling is very therapeutic. It helps you to get your inner thoughts out and that's a good thing. Keeping things bottled up will only cause you to lose focus. If you want to stay focused you have to work at it. Journaling will help with that. Just stick to it. The goals you set were set for a reason. We all experience it. The need for regaining focus in our fitness and bodybuilding lifestyle. Things happen to derail us along the way and regaining focus becomes a priority. These are the steps to regaining focus. Realize that you have truly lost focus. Like trying to kick an addiction, coming to a clear realization that you have lost focus is one key to successfully regaining focus. Armed with the understanding that you need to get busy regaining focus, the next steps that follow will be much easier. Reevaluate where you are at. Regaining focus doesn't always mean just doing what you were doing before. 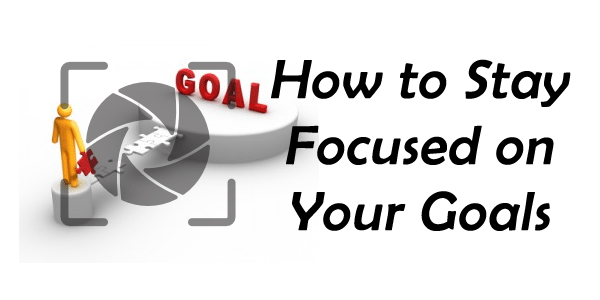 Depending upon how long it has been since your focus was crystal clear, your goals might be quite different. Take the time to reevaluate where you currently stand. Validate that your goals are still relevant at this stage of your life. Change your goals as required. After completing step 3, be sure to change your goals as required by the knowledge you've gained about yourself. Make sure they are SMART goals that will lead you to strong results. Break your goals down into baby steps. Baby steps are the key to regaining focus. You might well have lost focus all at once due to some life event, but regaining focus won't happen as quickly. You will want to attack things in bite-sized pieces that you are capable of chewing. Sometimes regaining focus takes time and baby steps are going to give you that time. Reward yourself along the way. Remember that waiting a long period of time before getting a reward for successfully regaining focus is not going to keep you motivated long term. Assign milestones and then reward yourself for successfully reaching them. Keep building momentum. As you get back to the mission of regaining focus you will gain momentum slowly. Stay with that and the momentum will continually build. This is the desired result. Don't let small setbacks take you off course. I have been on a mission to regain focus and have even had one 4 day illness that kept me out of the gym. Instead of losing myself in the little setbacks, I simply jumped back on the wagon immediately after I was feeling better. You need to do the same. Don't let the small setbacks dictate your response to them. You have control over all of that. Enjoy the newly discovered focus. When you make an attempt at regaining focus it feels wonderful. Enjoy your new focus. You deserve it and have earned it. I recently did a podcast on regaining focus that you should listen to. 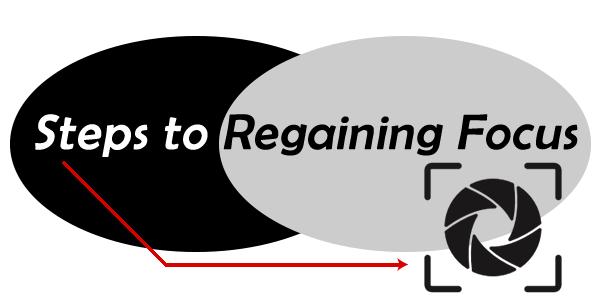 In it I describe some of the challenges to regaining focus. I hope you enjoy and that your focus is renewed and even more powerful than previously thought possible.